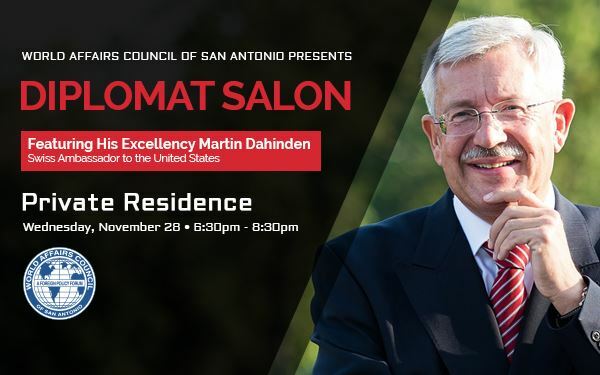 Our Diplomat Salon featured His Excellency Martin Dahinden, the current Swiss Ambassador to the United States. Prior to his appointment in 2014, he served as Director of the Swiss Agency for Development and Cooperation (SDC) from 2008 to 2014 and headed the Directorate of Corporate Management of the Federal Department of Foreign Affairs (FDFA) from 2004 to 2008. 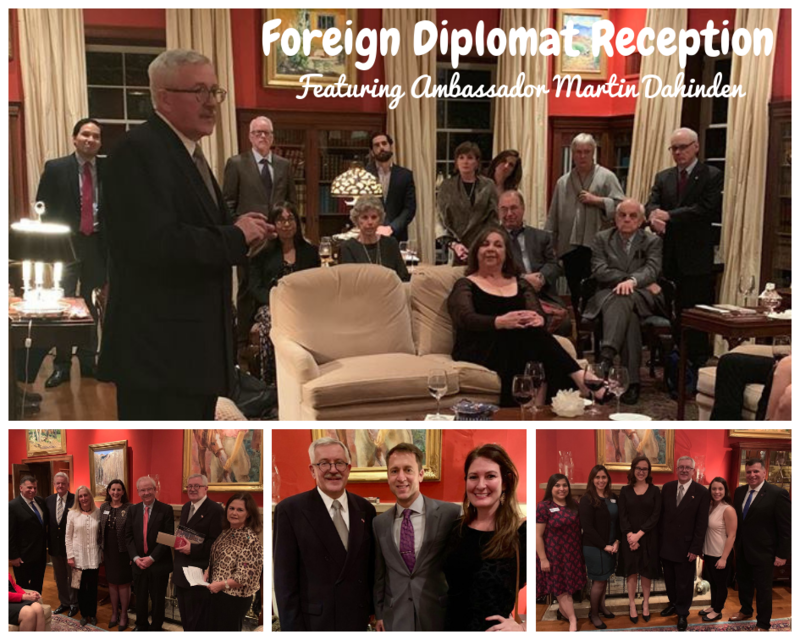 During his long career in the Swiss diplomatic service, Martin Dahinden has served as Director of the Geneva International Centre for Humanitarian Demining, as a member of the Swiss Delegation to GATT (General Agreement on Tariffs and Trade), at the Embassy of Switzerland in Paris, as Deputy to the Swiss Ambassador in Nigeria, and in a temporary posting at the Swiss Mission to the UN in New York. In addition, he worked in the FDFA's Service for Disarmament Policy and Nuclear Issues, as Head of the OSCE (Organization for Security and Cooperation in Europe) Service of the Directorate of Political Affairs, and held the position of Deputy Head of the OSCE Coordination Unit during the Swiss OSCE Chairmanship in 1996. The following year, he was sent abroad as Deputy Head of the Swiss Mission to NATO in Brussels.